In the article I share what I learned about Pond Fish: Goldfish and Koi. For comparison with the fish in the previous post, here are Goldfish and Koi. Koi are definitely the kings of the pond. They are meant to be viewed from above, and the spectacular colors they come in are designed with this in mind. They are a selectively bred form of the Asian Carp and German Carp. Koi are found in red, white, yellow, gold, orange, silver, greyish-blue, black and lots of combinations of these colors. Some Koi have long fins, but most do not. Whatever their color scheme, Koi are very elegant-looking fish. more because they grow over three feet long. They can reach two feet in only three years, which means that you need to have the space they’ll need available now, not ten years from now. They are gentle fish, and can be taught to take food from your hand. 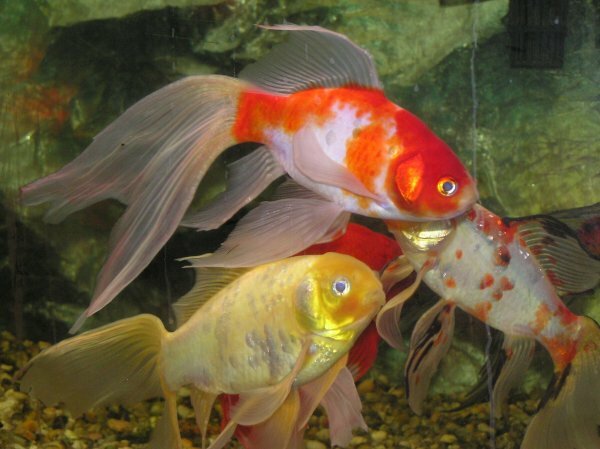 They will not harm small Koi or Goldfish, although fancy Goldfish may have difficulty getting their share of the food when competing with Koi. Koi are very cold-hardy fish, and so long as a small area of the surface remains unfrozen for gas exchange and the water is three feet deep with water of 34F or higher for them to be dormant in they should be fine. This is good, because you are unlikely to be able to house multiple three foot long fish in your house over the winter. Koi vary widely in price. Ordinary young Koi can be acquired for as little as $10, while a prize-winning Koi could set you back over $100,000. Of all the pond fish, these truly are king. Like Koi, Goldfish are very cold-hardy. Fortunately, Goldfish only grow to about 12 inches, usually somewhat less. This means they are suitable for much smaller ponds than koi are. They still need the pond to have an area of two feet or deeper for winter dormancy and to hide from predators. Goldfish come in many varieties. The most common variety is the Common Goldfish, but there are also dozens of more fancy varieties. Generally, the more fancy the variety, the harder the time it will have in a pond. Goldfish without dorsal fins or with very small double tail fins swim slowly and have more difficulty escaping from predators. They will also have a harder time competing for food with less oddly-shaped goldfish or koi. Bubble-eyes and Celestials are vulnerable to eye injuries. Goldfish like these are better suited to aquariums or indoor ponds in houses without pets that are likely to play predator. 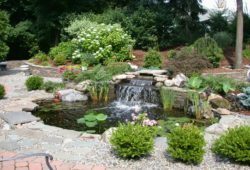 Goldfish such as Common Goldfish, Shubunkins, and Comets are more able to take care of themselves in pond situations and are better choices for your outdoor pond. Double-tailed varieties with dorsal fins such as telescope eyes, fantails and orandas fall somewhere in between. One advantage of buying Common Goldfish or Comets, many of which are actually Common Goldfish, is that they are usually the cheapest goldfish to buy, so if you have an unusually hard winter or get visited by a heron you haven’t lost large amounts of money as well as your pets. Whatever type of fish you have, protecting them against predators is important if you want to keep them in your pond. -Create a 2ft or deeper area in the pond. -Submerged and floating plants provide hiding places. -Install a heron decoy – remove during the breeding season or it can attract rather than repel herons. -Use milk crates as support for marginal plants – they double as hiding spots for small fish. 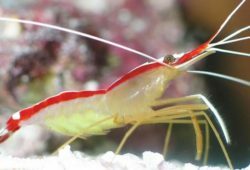 -Use a floating decoy fish – when a predator attacks it, the real fish can flee. 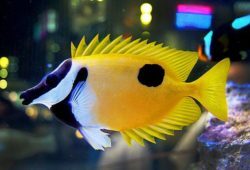 -Buy dull-colored fish – there’s a reason most wild fish don’t have bright orange backs. Before you buy any pond fish, remember that you must not introduce them into wild ponds or anywhere they might be able to get into natural waters. Is your pond filled with sludge?